Mostly sunny. High 59F. Winds NW at 15 to 25 mph. Winds could occasionally gust over 40 mph..
RACINE — Dedrick Flowers, 41, is considered an attempted-homicide suspect by the Racine Police Department which has issued warrants for his arrest and has asked for the community’s help in finding Flowers. On Sept. 29, police reported responding to the 900 block of Park Avenue after receiving reports of shots fired. A victim was found with multiple gunshot wounds, and police have identified Flowers as the main suspect in the shooting. Flowers is a 6-foot-2-inch black male. He is bald, and his facial hair appears to be a stubble, according to a mugshot provided by the Police Department. Police are considering Flowers to be armed and dangerous. Witnesses and people who may know of Flowers’ whereabouts are encouraged to call the Racine Police Department Investigations Unit at 262-635-7756 or contact Crime Stoppers at 262-636-9330. 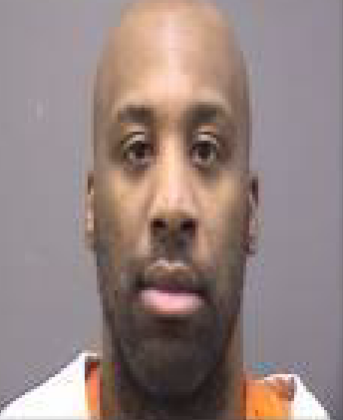 Court records show that Flowers has prior convictions of felony robbery (2002), theft (2000), possession of cocaine (1995 and 2000) and obstructing an officer (1998, 2002 and 2006). Charges have also been filed against Flowers alleging he has wrongfully claimed $4,539 in unemployment benefits, in addition to attempted first-degree intentional homicide and possession of a firearm by a felon. Flowers a career thug, and our so smart judiciary along with lazy complicit DA's so bent on plea bargains and a quick deal just to save money and dismiss so many other charges...Racine is thug central, plea bargain central, and repeat after repeat offender central...three strikes means Gone forever...use it..Build them and fill them..
Shield is one Crazy old White man. He should be in the Senate. More probation time from our Republican prosecutors here in Old Racine. You keep saying that gong. Don't you understand that it is the judge that passes sentence and not the prosecutor? Or do you just like to throw mud and look stupid? You related to Comrade grits?